Ensign Jesse L. Brown in the cockpit of his Grumman F8F Bearcat fighter. Ensign Jesse L. Brown in the cockpit of his Grumman F8F Bearcat fighter. 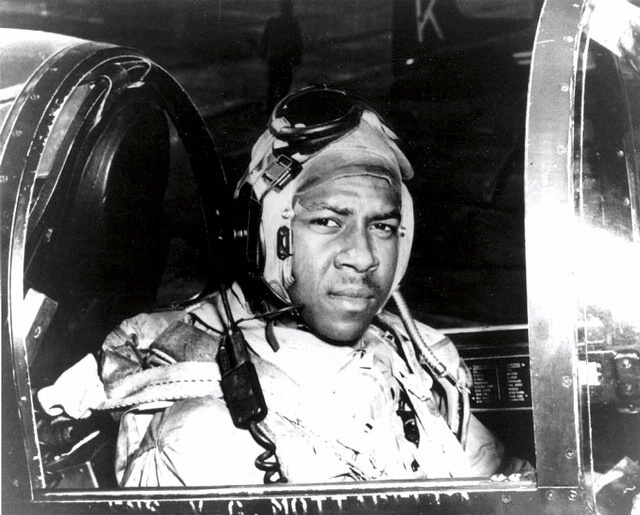 A pioneering naval aviator, Brown was killed while flying an F4U Corsair in the Korean War.